The nephew of the late Col. Jack Ridley, Jim Martin Jr., recently visited Edwards Air Force Base. While at the Air Force Flight Test Museum he got to hold the slide rule used by his uncle. It’s always a special day when we can show our family where we work, especially when the job site is Edwards Air Force Base! But, it is even more special when that family member was a celebrated part of Edwards history. On April 8, the nephew of the late Col. Jack Ridley came out to Edwards from his home in Texas to attend the retirement ceremony of a friend. While here, Jim Martin Jr. was given the opportunity to learn more about where his famous uncle worked and played. The nephew of the late Col. Jack Ridley recently visited Edwards. 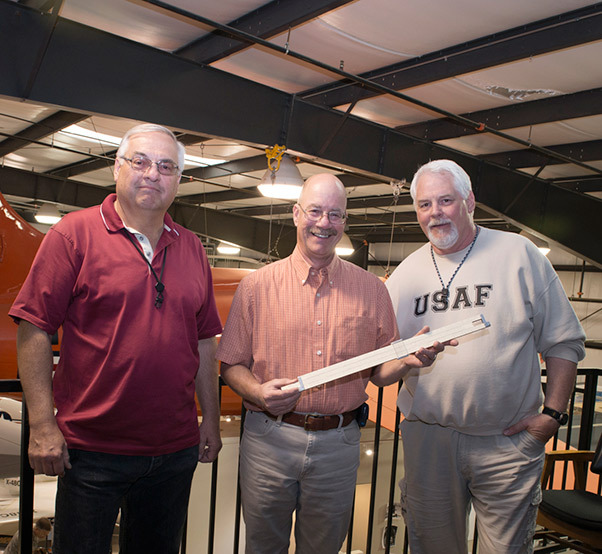 Pictured left to right are George Welsh, Air Force Flight Test Museum director/curator, Jim Martin Jr., and Tony Moore, museum specialist. Martin is holding the slide rule used by his uncle. 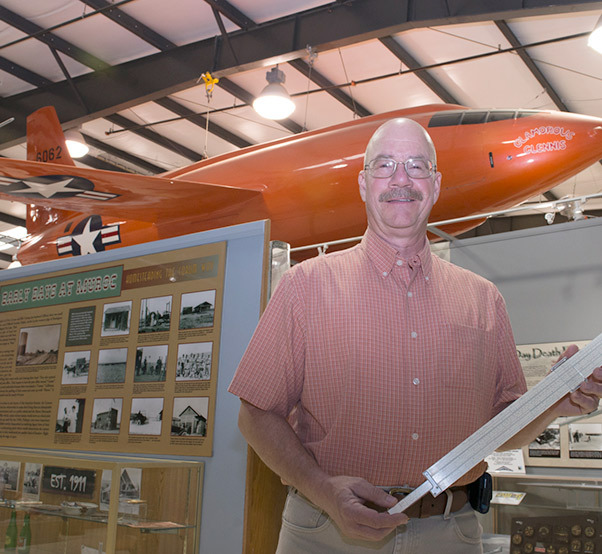 George Welsh, Air Force Flight Test Museum director/curator, and Tony Moore, museum specialist, dug into the archives and showed Martin the very slide rule that Ridley used. 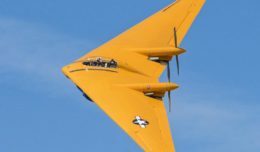 Additionally, they discussed the various programs his uncle worked on, including the Bell X-1 program. After the museum, Martin was taken out to the ruins of Pancho Barnes’ Happy Bottom Riding Club to see where his uncle and others would go to relax. 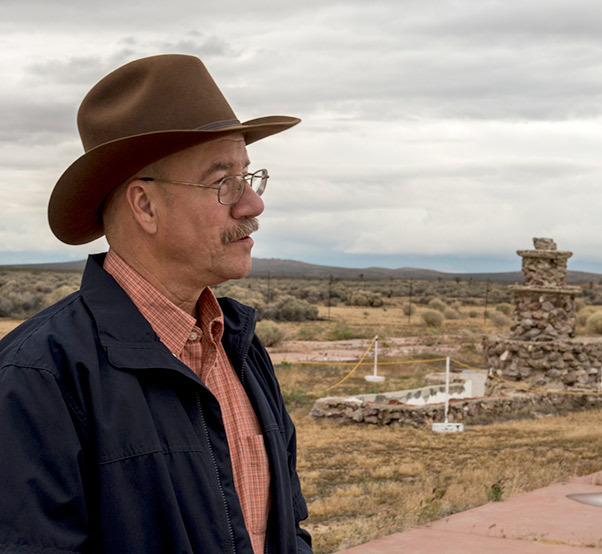 During a recent visit to Edwards, Jim Martin Jr., the nephew of the late Col. Jack Ridley, was taken to the ruins of the Happy Bottom Riding Club to see where his uncle and others used to go for relaxation.